Ideal Metals specializes in industrial and commercial grade scrap metals and works with a continually diverse group of industries in the region. This includes aerospace manufacturers, metal stamping houses, screw machine shops, and circuit board laminators, just to name a few. 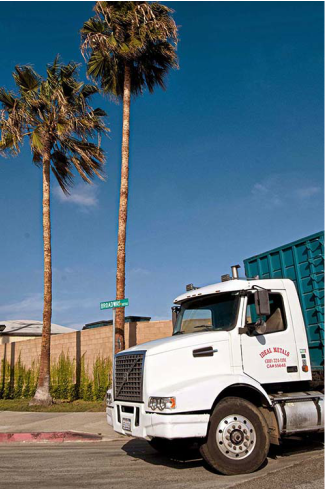 Located in Gardena, California, Ideal Metal's fleet of trucks allow equal access to the entire Southern California region - from the San Fernando Valley to Orange County, from San Bernadino to the coastal cities. Please call us at ﻿310-324-1191﻿ for more information.